Samuel Taylor Coleridge was a poet, critic and philosopher who was considered a leader of the Romantic movement. After the death of his father, the vicar of Ottery Saint Mary, Coleridge was sent to study at the Blue Coat School, Christ's Hospital, in London, where he met and befriended future notable writers Leigh Hunt and Charles Lamb. 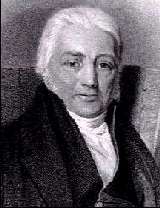 He further attended Jesus College, University of Cambridge from 1791 to 1794. There he was diverted by drink, as well as an unsuccessful love affair and entered the army briefly to pay for debts and tuition. He also developed radical political and theological ideas such as espoused by Unitarianism, and left Cambridge before graduating. At Oxford he met Robert Southey (later the poet Laureate of England), and the two planned to open a communal colony in New England. They abandoned this project, however, and in 1795 the two married sisters: Sara and Edith Fricker. Coleridge's marriage was an unhappy one, and his relationship with Southey also deteriorated: after a fight over politics and money Southey moved to Portugal. Coleridge stayed in England where he wrote and lectured, publishing Poems on Various Subjects in 1796. With his friend William Wordsworth, in 1798 Coleridge published a joint volume of poetry, Lyrical Ballads. This text, which contained such famous works as The Rime of the Ancient Mariner, was a significant event in the Romantic literary movement. These were among the most rewarding years for Coleridge in regard to his writing, witnessing the creation of some of his most known works including Kubla Khan, and The Nightingale. In 1798 he and Wordsworth left England to tour Europe. Coleridge however spent most of his time in Germany without Wordsworth, learning German and exploring the writing and philosophies of Immanual Kant, Jakob Boehme and G.E. Lessing. He also translated the Romantic works of author Friedrich von Schiller. By then addicted to opium to relieve the pain of his rheumatism, Coleridge returned in 1800 to settle with his family at Keswick, in the Lake District of Cumberland. From 1804 to 1806 he was traveling again, this time to the Island of Malta, as secretary to the governor. His marriage over, in 1807 he began a relationship with Sara Hutchinson, with whom he had been in love for several years. Between the years 1808 and 1819 Coleridge wrote on religion and political theory, and gave a series of highly influential lectures on philosophy, morality and literature. Revived interest in Shakespeare has been attributed in part to his discussions. During this time he also resided temporarily at the home of a supporter, physician James Gillman. After admitting his addiction Coleridge reconciled with Wordsworth, and continued to write literary criticism and autobiographical notes. Although sometimes criticized as a plagiarist whose reputation rests on his early poems, Coleridge is nevertheless credited with bringing psychology and metaphysics to English poetry. Lamb described him as an archangel slight damaged. Coleridge's daughter Sara, who was raised by Southey and the Wordsworths, did most of the editing of his papers and notes. Memoirs and Letters, published in 1873, contains much of what is known about Southey, Wordsworth and Coleridge.